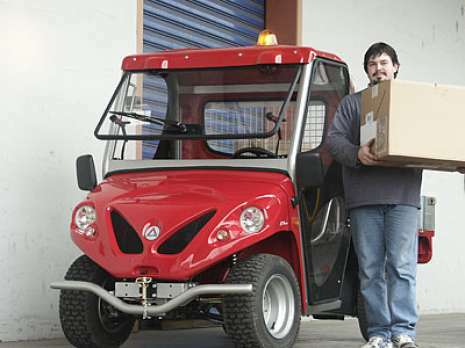 ATXs are professional utility vehicles designed for people that are not happy with what can be found on the market and where quality, reliability and functional design are the result of years of experience and tests in the field. 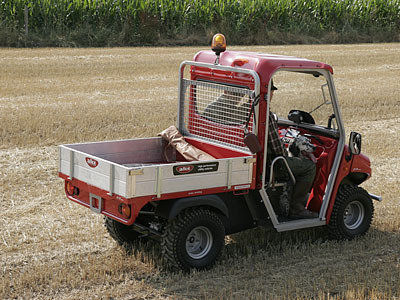 Standard full-optional out-fittings and an extremely solid construction are the visiting card that ATX utility vehicles offer immediately. 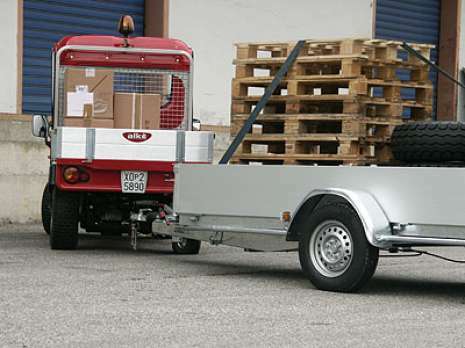 All ATX chassis are built using tubular steel sections dimensioned to support any type of exertion and torsion. 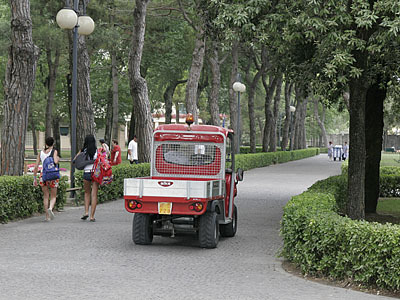 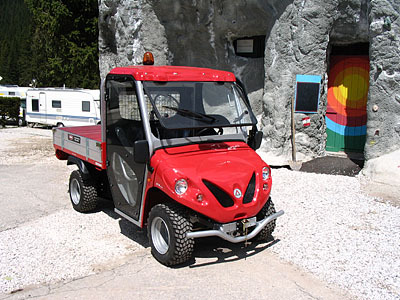 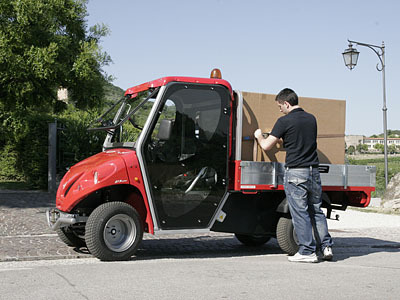 The front bodywork of the utility vehicle, the control panel and coverings and the back of the cab are built in reinforced fibreglass and finished with car paint (on the contrary to ABS or other plastic materials normally used, the fibreglass is much more flexible and resistant to blows and can be easily repaired in the case of accidents). 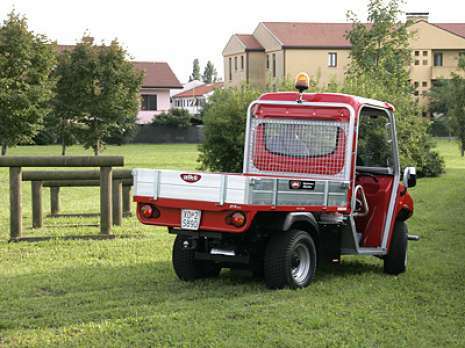 The front protection bull-bar and the differential guard protecting the differential and components placed underneath the vehicle during off-road activities are standard. 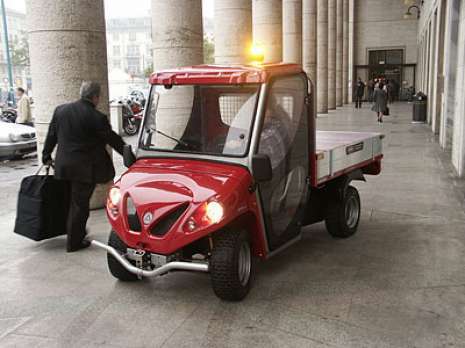 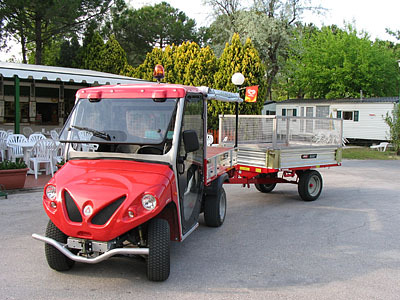 All ATX utility vehicles with standard out-fittings have dual circuit hydraulic brakes, parking brake, front and rear towing hooks, complete car-style lighting plant, hazard and flashing lights, horn, 12V socket on board, tool box with lock, tipping loading bed with three sides in anti-corrosion tubular aluminium and cargo barrier acting as a roll-bar. 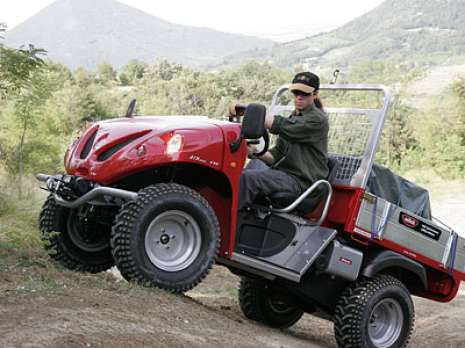 The front Mac Pherson suspension, for improved comfort and driving precision along with the De-Dion rear axle with stabilising bar, which allows improved articulation of the axle and ensures an optimal grip on all land-types are also standard out-fittings.